Can I take my dog on a train? – yes you can! 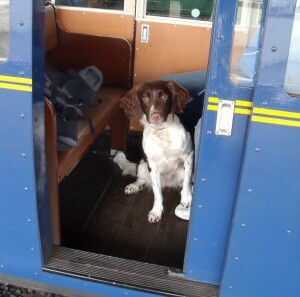 operating in the UK, but all must adhere to the National Rail Conditions of Carriage which states that a passenger may take up to two dogs free of charge, either on a lead or in a carrier up to 60x60x85cm. A summary of guidance supplied by the individual train companies is shown below.